The Arabian Park Hotel is a luxury 3-star budget hotel in Dubai, UAE. The nearest beach, the popular Le Mer Beach, is 9.6km away from the hotel. The hotel has a large outdoor swimming pool on its grounds. The hotel houses 4 bars and restaurant on its premises that serve a varied range of delicacies from local Arabian and international cuisines. 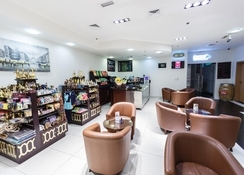 The hotel is right in the heart of the city of Dubai, which makes it an ideal destination for someone looking to explore this popular extravagant city and unwind. The hotel houses over 300 beautiful rooms that feature contemporary architecture and are equipped with modern day amenities ensuring that the guests have a comfortable stay they expect and deserve. 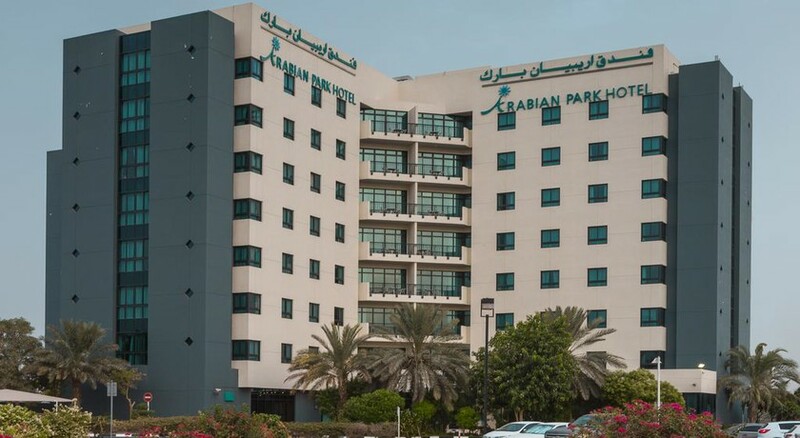 The Arabian Park Hotel is located 8.1km away from the Dubai Airport. The nearest beach, Le Mer Beach, is 9.6km away. The nearest metro station, Al Jaddaf Metro Station, is 600m. Popular tourist attractions and landmarks like Zabeel Stadium, Wafi Shopping Mall, Dubai Dolphinarium, Children's City, Dubai Festival City, Floating Bridge, Dubai Frame, Dubai Garden Glow, Al Ghurair Centre, Twin Towers Shopping Centre, Dubai Aquarium & Underwater Zoo, Grand Mosque, Textile Souk and Mall of the Emirates are located within a distance range of 17km. The Arabian Park Hotel has 328 rooms, which are tastefully designed featuring contemporary architecture and modern day amenities. 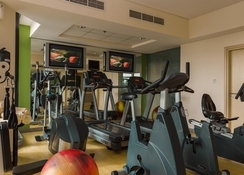 The rooms are further divided into three types based on space, amenities and facilities. Classic Room, Deluxe Room and Premium Room are the types of rooms available. The rooms are equipped with flat screen TV, Tea maker, coffee maker, bottled water, mini cooler, telephone, safe, bathtub, Wi--Fi, air-conditioning, writing desk, bathtub, bath linens, toiletries, etc. The premium rooms also have sofa, attached balcony, etc. The Arabian Park Hotel houses 4 outlets in terms of restaurant, bar and café. 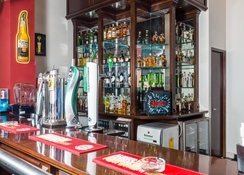 The Park Cafe and Grill, The Cheers Pub, The Deli and Majlis Café are housed by the hotel. These hotels serve a wide range of delicacies from local Arabian an international cuisine along with local wines, beers, signature cocktails, alcoholic and non-alcoholic beverages. The restaurant also serves in rooms through the room service facilities. The guests can also try a host of local restaurants in Dubai, which is famous for restaurant and bars. The Arabian Park Hotel houses a large outdoor swimming pool, for both adults and kids, which is a great option for recreational activity. The guests can also enjoy indoor games like billiards, etc. The guests can visit the popular Le Mer Beach and indulge in water sports or spend some quality time sunbathing. Dubai is known for its extravagance and rich lifestyle, the guests can go shopping in the numerous malls and markets in Dubai.